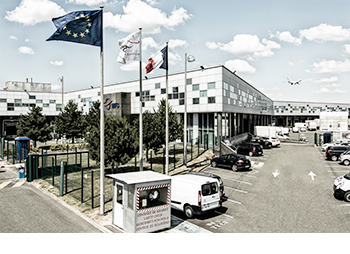 Paris, 2 October 2018 – Worldwide Flight Services (“WFS”, “The Group”) announced today that an affiliate of Cerberus Capital Management, L.P. (“Cerberus”) has completed on 2 October 2018 the acquisition of Worldwide Flight Services from Platinum Equity, which was announced on 18 June 2018. Please email investorrelations@wfs.aero or wfs@fairvuepartners.com with any questions regarding this announcement. Founded in 1992, Cerberus is a global leader in alternative investing with approximately $34 billion in assets across complementary credit, private equity, and real estate strategies. We invest across the capital structure where our integrated investment platforms and proprietary operating capabilities create an edge to improve performance and drive long-term value. Our tenured teams have experience working collaboratively and across market environments to seek strong risk-adjusted returns for our investors. For more information about our people and platforms, visit us at www.cerberus.com. Founded in 1971, WFS (www.wfs.aero) is the world’s largest air cargo handler and one of the leading providers of ground handling and technical services with annual revenues of over €1.2 billion. Its 22,800 employees serve over 300 customers at 198 major airports in 22 countries on five continents.